Aptech students celebrated Mother's day with great zeal! Between 12th and 21st May, Aptech Aviation and Hospitality Academy celebrated Mother's Day with great excitement, across centres in Delhi, Varanasi, Chennai, Bangalore, Vadodara, and Mumbai. The students' enthusiastic parents, especially their mothers, were invited to interact with Aptech alumni, staff, as well as with the current batch of students. These celebrations gave the students an opportunity to thank their mothers for their contributions & selfless sacrifices. Many students delivered speeches, expressing their gratitude. Kritika Jaiswal, alumna of the Varanasi centre, who is currently working with Indigo Airlines as ground handling staff at Varanasi Airport, conducted a session to enlighten students and parents regarding career prospects in aviation and the opportunities that they can explore. Similarly, other centres too invited alumni to address current batches. Asma Mohammed Rafi Shaikh, student at a centre in Mumbai, invited her mother to speak to her batch-mates. Her mother said: "I feel very proud of my daughter who is now a working member of the family. I am very grateful to Aptech Aviation for making a difference in her life. 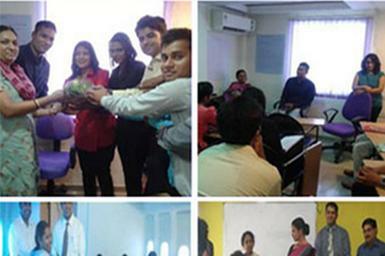 Aptech Aviation has given her a platform to make a career in the field of aviation." Shrutidhar Paliwal, Vice President, Corporate Communications, Aptech Ltd., shared his views: "It is very important for every individual to acknowledge the contribution of their mother. We got the golden opportunity to interact with the mothers of our students and alumni and they were given a chance to engage with the current batch. It was lovely to see that our students have made their parents so proud and joyous."